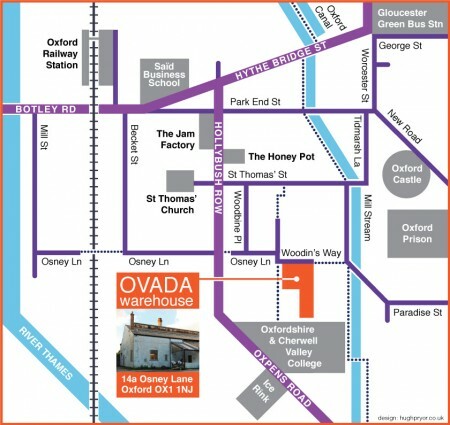 OVADA is located in the centre of Oxford and is less than a 5 minute walk from either Oxford Rail Station, Gloucester Green Bus Station or Oxford City Centre. The warehouse is located on Osney Lane which can be accessed from all directions by foot/cycle. We have a bike rack available for cyclists to use. Stagecoach and Oxford Bus Company run regular services into Oxford, with the nearest bus stops to the warehouse being Frideswide Square, Castle Street, Westgate or Park End Street. From London, the Oxford Tube and X90 coaches run regularly into the City Centre and Gloucester Green Bus Station. 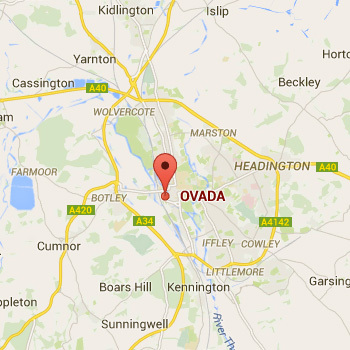 There is very limited parking at OVADA which may be arranged with prior notice for group visits, disabled access and deliveries only. Parking is also very limited in the surrounding streets and is mainly reserved for permit-holders. The closet car parks to OVADA are Oxpens, Westgate or Worcester Street. We regularly send out a newsletter with details of upcoming events.